I was looking for a graphing paper online yesterday and I came across with Print Free Graph Paper website. The site lets the users customize their graphing paper through drop down list boxes of choices. In the boxes, you may choose the type graphing paper, the size, measuring units and graph paper type. The output is a PDF file which can be printed. 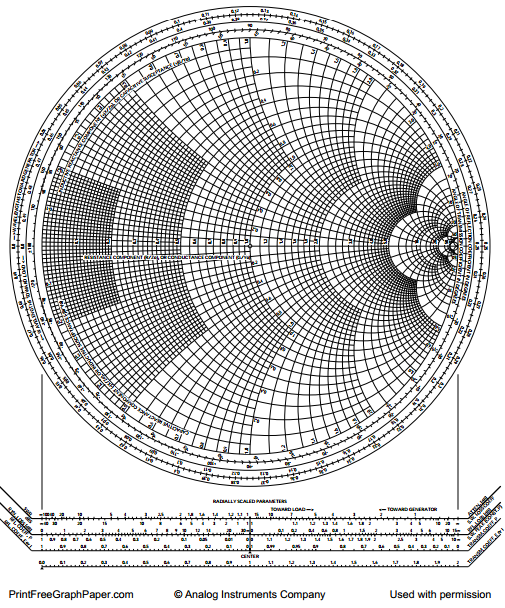 The site supports the following types of graphing papers: Cartesian,Engineering, Polar, Isometric, Hexagonal, Logarithmic, Probability and even Smith Chart for electrical engineers (see figure above).